Reiger features on this blog ever since they played a support slot for Bettie Serveert early last year. From there EP I was reviewed. Followed by the support slot for Strand of Oaks just after my summer holiday. 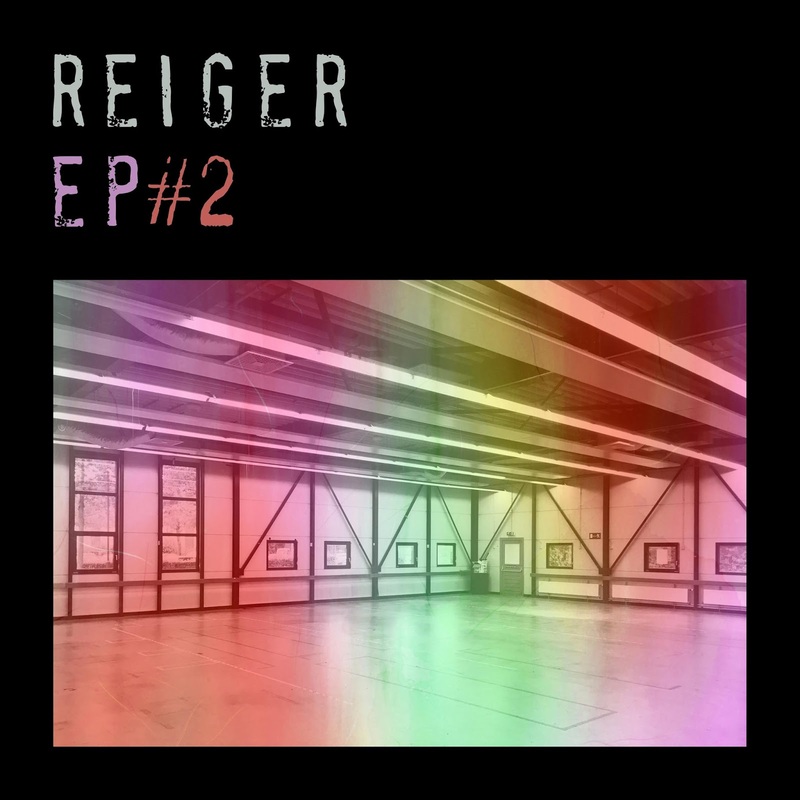 Come 2018 and there is a new four song EP by Reiger. The anarchy I saw on stage in August at Tivoli/Vredenburg has been captured on record I notice. In 'Try' Reiger goes all out. A long rock jam is played out in a firm tempo. Nothing is sugarcoated here. Nothing is hidden. This is a song as it is. Yes, the voice must be miked, but its sounds as if Mathijs Peeters is singing from in between all the instruments gathered around him, as the nucleus of the 'Try' universe. There is no attempt at making the music sound any nicer. No, 'Try' is not punk, but more an alternative sort of rock, yet all is punk in attitude. 'Try' is jumping out of the speakers and into my ear. There's no hesitation involved. More a violation of a musical kind. And I like it. EP #II has four very different songs on it. Reiger shows totally different sides of itself and succeeds. Nearly totally. I had written the above, had the storyline in my head and then got the message that the final tracklist of the EP was different from the private Soundcloud account I could access. There went my storyline on how well this EP was built up. 'Stories' comes last instead of 'Dreamer'. EP #II starts with 'Get It On'. This one comes close to punk. It's certainly anarchic. Just a repetition of a few chords and nearly shouted vocals somewhere underneath the music. At one minute 20 the song is already over. So pay attention. The loudness forces you by the way. So don't fret beforehand, just let it wash over you. Feel the rush of excitement flow through you. 'Get It On' is that kind of song. The most beautiful song of the four is kept for last or so I thought. It is number two. The tempo goes down some, but more important the mood changes totally. The title is extremely befitting the song, 'Dreamer'. Reiger shows that it can restrain itself and play a beautiful song at the same time. Mathijs Peeters may run into the range of his vocal chords here, but shows the emotions befitting someone who is left behind. The double guitar solo sounds very Little River Band and Sherbet like -yes, I finally get to put two Australian bands from the 70s in one review- and give a smooth middle of the road rock element to an alternative rock song. She may be gone and he used to be a dreamer, when someone can write a song like 'Dreamer' anyway, not all is lost. Next up is that powerhouse called 'Try', a song that excels in several ways. 'Try' starts very up tempo. My arm is feeling numb just from thinking about having to keep up, for so long. Yet, the vocal melody is great, the Gang of Four solo guitar eruptions surprising. The band keeps the tempo going, it really goes all out, so keeps the whole together where Gang of Four always seemed to fall apart. 'Try' is impressive and good. And that whole 80s doom thing is missing, a great boon as far as I'm concerned. This is not a song "trying to take a road to nowhere", but one to rock heaven. The tempo goes completely down in 'Stories'. Reiger shows a totally different side of itself. More melodic, but also a more common side. 'Stories' is an okay song, but does not excel. 'Dreamer' would have been the perfect ending in my view. This is my only complaint though. 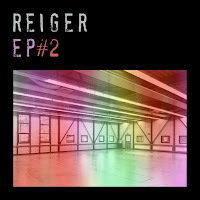 Now unfortunately the EP ends with the least impressive song of the four, but with EP #II Reiger has put a nice addition to its still small catalogue. This is a band to watch out for. Live it is able to play the tiles of the roof and it is able to capture this atmosphere on tape (or in digits). Especially where 'Try' is concerned the band is due a compliment which I think I have just given in the above.